Varnish a reverse proxy which seriously speeds up your WordPress site. If I didn’t use Varnish on HTPC Guides the page load time would be 3+ seconds due to the slowness of PHP and all the WordPress plugins I use. 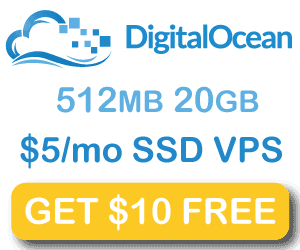 Thankfully, I host on a Digital Ocean VPS where you can install Varnish very easily. I was recently DDoSed for the first time and wanted to use something besides Cloudflare for DDoS protection. 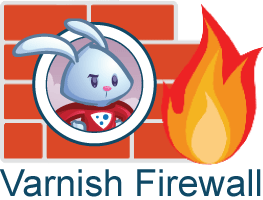 Varnish has many firewall vmods that you can use to tweak how it responds to threats. In this tutorial I use the Throttle vmod and the Shield vmod. Throttle detects if there are too many requests per second and shield resets the connection if the request threshold has been reached. I will assume you already have Varnish 3 configured. The Varnish 4.x DDoS protection guide is here. This guide will work behind CloudFlare. This guide uses 2 Varnish vmods to create some WordPress DDoS protection. The throttle vmod detects the number of requests and the shield vmod resets the attacker’s connection. You probably already have Varnish installed, however you will still need to execute at least the two red lines to add the source files as they are needed to build the Varnish vmods. If it is below 3.0.7 you will install from source on top of the repo which is an extra step after preparing the Varnish source to compile the vmods. You will need the vmods path for compiling libvmod-throttle and libvmod-shield. Install libvmod-throttle for Varnish which detects the number of requests per second the attacker is making. Adjust your VMODDIR with the directory you found before. Install libvmod-shield which resets the attacker’s connection. And in your sub vcl_recv section put these at the start bottom of the section. It is using throttle to detect the number of requests and if it exceeds 3 per second, a Calm down error is returned after the shield vmod resets the attacker’s connection. Initially I had some issues in admin mode but have added exceptions for admin-ajax requests. If you do notice any issues you can add the exception URL in the parentheses that contains admin-ajax.php. 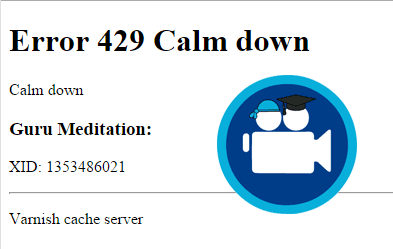 Optionally you can change the error message Calm down to something else. You can use Apache benchmark, there are better tools but this illustrates that the WordPress DDoS protection with Varnish 3 works. If you want to see it in action open up a browser and point to your web site behind Varnish.